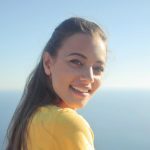 You may or may not know, that Jedi Knights aren’t supposed to get married (something to do with personal attachments leading to the dark side). 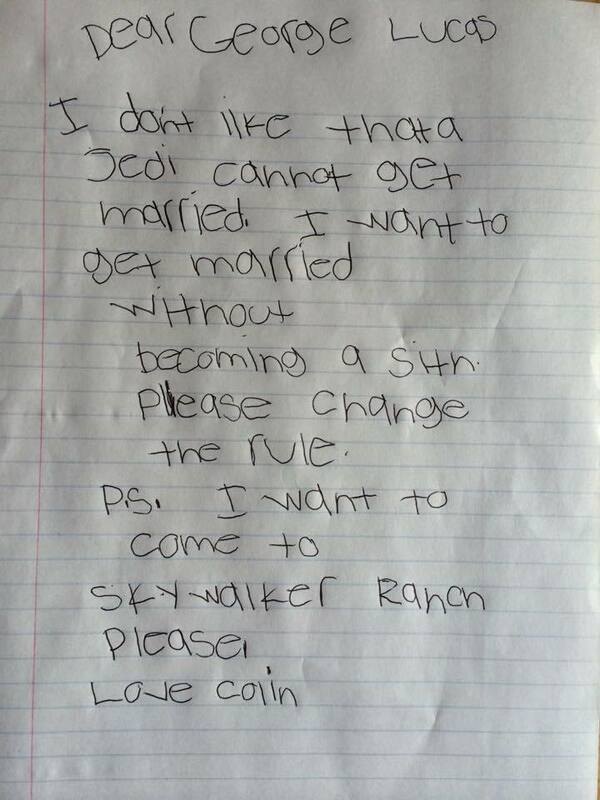 Well, aspiring Jedi, 7 year old Colin, was a little upset at this rule. He wants to be a Jedi, but he also wants to get married at some point in the future, and (naturally) doesn’t want to have to become an evil Sith in order to find a wife. 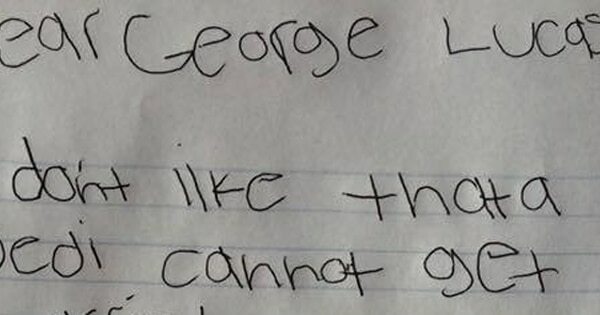 With this in mind, little Colin sent the cutest letter to Lucas Film (and specifically George Lucas) asking them if they would let him bend the rules and embrace the force, while still being allowed to find a Mrs Colin when he grows up. Here is Colin’s letter to Lucas Film. 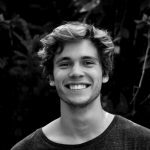 Well, Lucas Film responded to Colin’s letter and the good news is that this little Luke Skywalker wannabe will be allowed to get married and still be accepted as a Jedi Knight. And to top it off, they even sent him a load of Star Wars goodies. 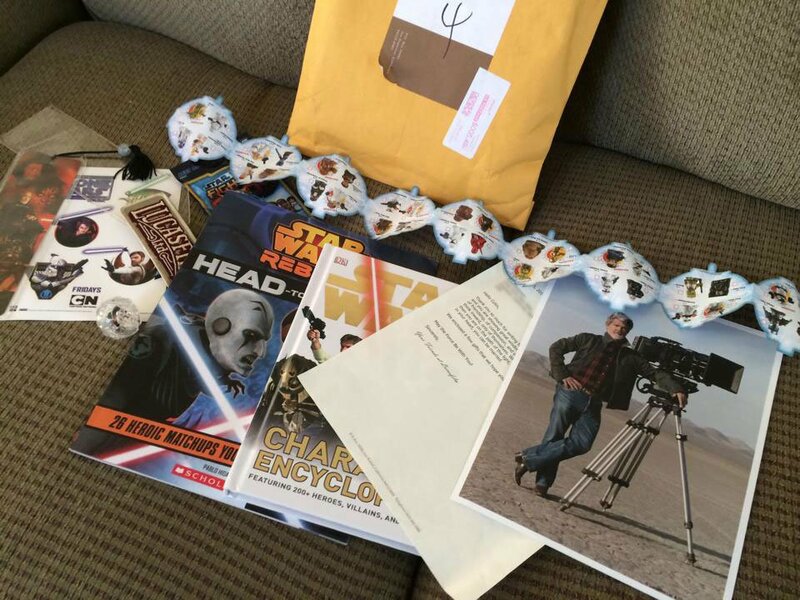 Here’s a video of Colin getting his goody bag from Lucas Film. 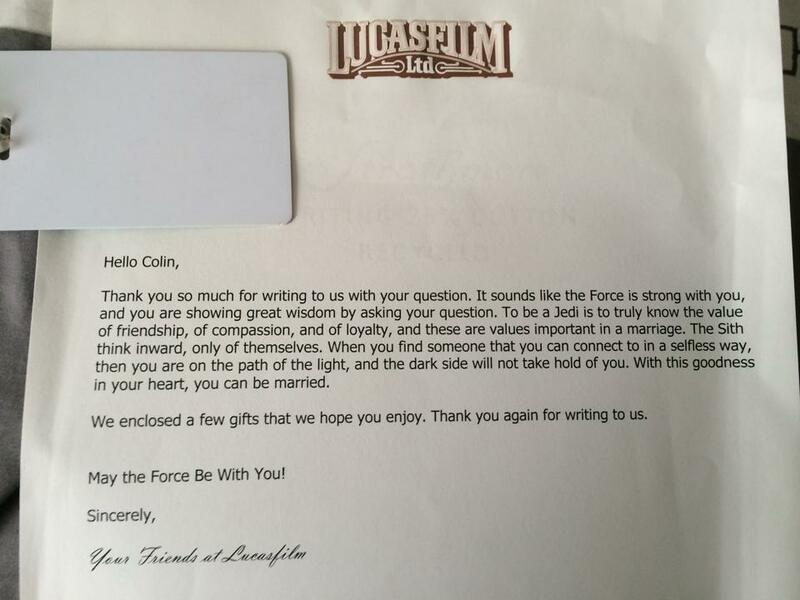 Well done Lucas Film for making a little kid’s day… and to Colin – the force is strong in you.